A wedding proposal to the one you love should be presented in a romantic way on Lake Winnipesaukee in New Hampshire. But, how should you do it? You've been dating for awhile and feel a strong relationship has built up. You know this is the person you want to spend the rest of your life with. Of course, it needs to be memorable so she can tell all of her friends and family about it and plan a wedding. There's no need to spend a lot on proposing. It's how and where that will stick out in her mind. Get creative and think of ways that will appeal to her. 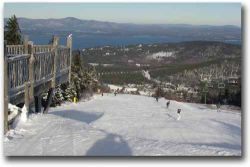 Perhaps you have a favorite activity you like to do around Lake Winnipesaukee. Plan it so it fits in naturally or it could be a totally new adventure with a surprise. Whatever the case, the place to propose will provide long lasting memories. My husband "popped the question" to me at the top of a New Hampshire ski slope. I've heard about another who proposed on a chair lift and dropped the ring "on purpose." When they got to the top he gave her the real one. There are so many creative ways to ask your special someone to marry you. 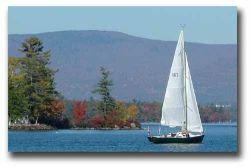 Taking a cruise on a boat or a moonlight sail on Lake Winnipesaukee is ideal for the boat lovers. Go off to a quiet cove for a swim or perhaps view the fireworks on display. There are so many hidden places to propose while boating on Lake Winnipesaukee in New Hampshire. If you don't own a boat, there are many places to rent one to make your day romantic. 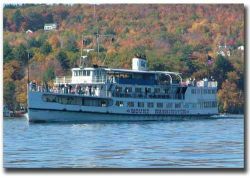 Taking the Mount Washington around Lake Winnipesaukee is an exciting way to pop the question. View the spectacular New Hampshire scenery, feel the wind in your hair and enjoy the moment. There are day and sunset cruises. Enjoy dinner and the romantic ambiance. Are you both avid skiers? Whether you're into downhill or cross-country skiing, Gunstock in New Hampshire is a fabulous place to propose to someone. There's a small lodge at the Summit that has spectacular views of Lake Winnipesaukee or perhaps you want to be on your favorite trail. Either way, this is a great place to pop the question for the ski enthusiasts. Take your sweetheart on a scenic tour﻿﻿ of Lake Winnipesaukee. This will be a truly memorable proposal experience. Soar high above the lake, enjoy a birds-eye view of the spectacular scenery. Pick the special spot for an unforgettable day. There are many other choice's around Lake Winnipesaukee in New Hampshire but these should help get your creative juices flowing. Remember, finding the right place for a marriage proposal is very important to the love of your life. Don't just pick a place out of a hat, spend the time listening to what she feels is important to her. She will be grateful that her man truly listens and cares.